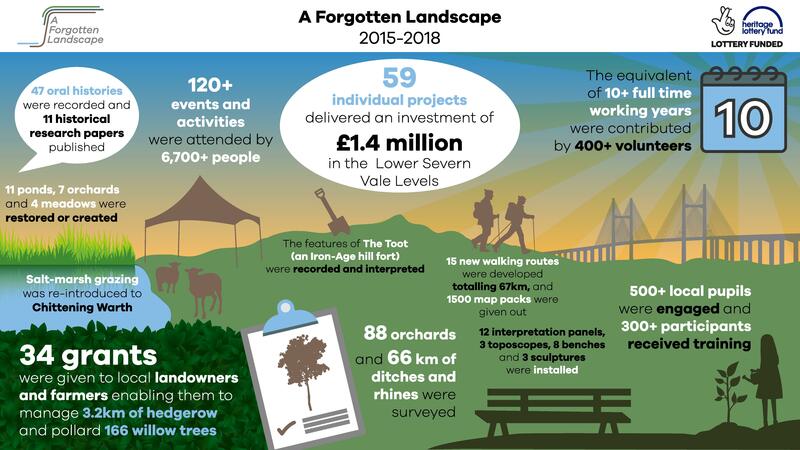 A Forgotten Landscape was a large-scale natural and cultural heritage project, funded by the Heritage Lottery Fund Landscape Partnership Scheme, which ran from March 2015 to October 2018. 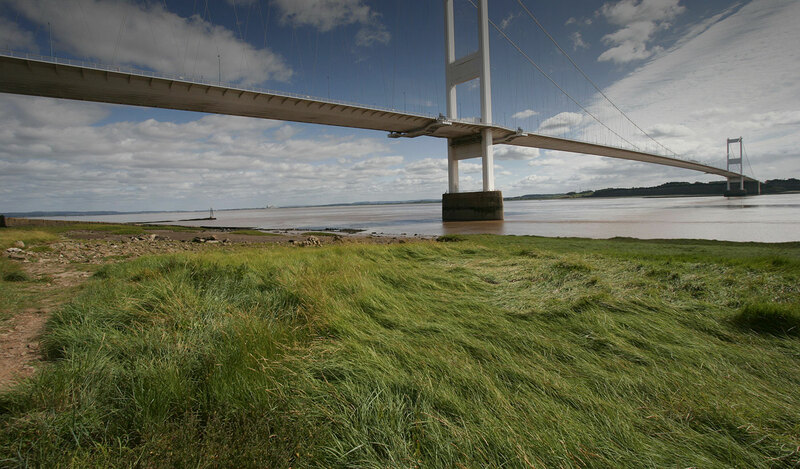 The project sought to conserve and enhance the Lower Severn Vale Levels, an area of low-lying floodplain along the shore of the Severn Estuary, while improving community access to and engagement with the area’s unique natural and cultural heritage. It is a landscape full of dynamic, dramatic beauty and panorama; and hidden within this is the human story of interaction with the land that has shaped the distinctive landscape we see today. This is a special place. It boasts big skies; a sense of light and vast open space with two colossal white bridges spanning the silt-laden tides of the Severn Estuary. Habitats include river estuary, salt marsh, orchard and grassland alongside highly industrial areas and suburbs on the edge of Bristol – in them all lie a wealth of wildlife, geology, history and archaeology to be discovered. The project area covered the foreshore and coastal floodplain of the River Severn from Avonmouth in the south to Oldbury, Shepperdine and Hill in the north, encompassing the parishes of Almondsbury, Aust, Hill, Oldbury-on-Severn, Olveston, Pilning, Rockhampton and Severn Beach in South Gloucestershire and the Bristol City wards of Avonmouth and Kingsweston (in part). See what a day in A Forgotten Landscape looks like. To conserve and restore the built and natural features that create the historic landscape character of the Lower Severn Vale Levels. To increase community participation in the heritage of the Lower Severn Vale Levels. 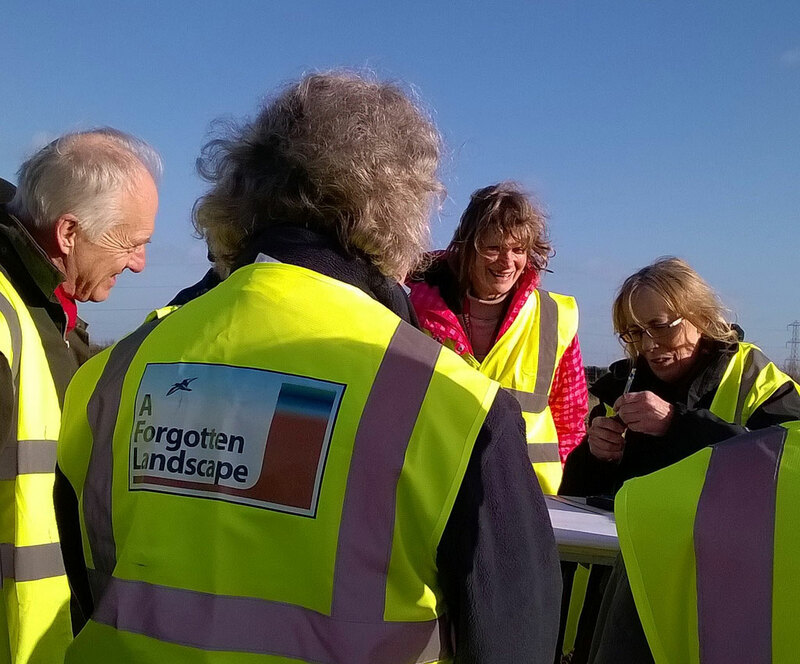 To increase access to and learning about the landscape and heritage of the Lower Severn Vale Levels. To increase training opportunities in local heritage skills. In doing so we aimed to restore the heritage of the Lower Severn Vale Levels as well as improving access and creating volunteering and learning opportunities. The term heritage is used in its broadest sense to encompass the natural environment, archaeology, local history, local food production and traditional farming practices, and even historic and present transportation – the way people have crossed the estuary over the centuries. Ultimately the project aimed to create a framework for the Lower Severn Vale Levels whereby a wide range of stakeholders, including local residents, schools and landowners, could help current and future generations enjoy, learn from and conserve this significant landscape. Our Landscape Conservation Action Plan provides the context and detail of all the projects we aimed to undertake during the life of A Forgotten Landscape. You can download a pdf of the plan below.